For the past 13 years, I've been working with youth in SE Washington D.C. so you already know I've seen a lot of the violence you hear about on the news first hand, so I always want my music to reflect that. So I always challenge any and all of the MC's or singers I work with to use their voices to say something like Jeru challenged us all to do. So, when I cooked up this beat and sent it to Driz I had already had the concept in my head that this song would be about trying to find a place to get away from the drugs, violence and temptations that so many of our people (and not just black folk but ALL people) are faced with on a daily basis. 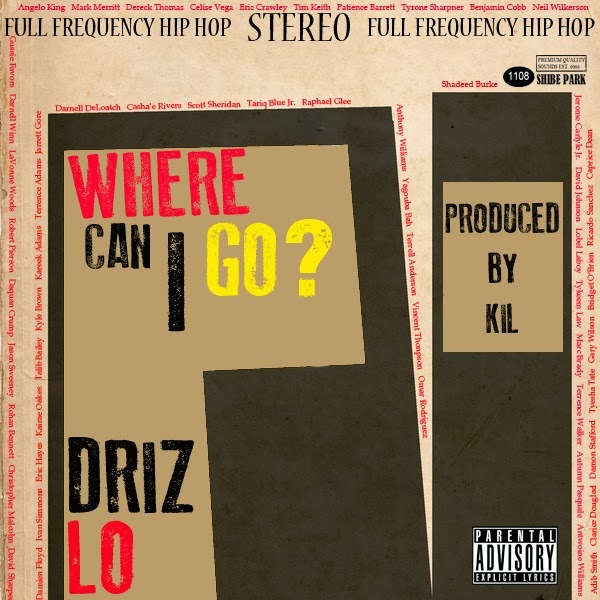 And I salute Driz cause the verses he came up with were matched the EXACT feeling of what I was looking for. A couple of days ago on facebook and twitter, I challenged MC's that spend the bulk of their time beefin' about who's the king of their city and the king of whatever coast to start using their voices to stop all of this nonsense that's going on in their city and on their coast. Cause a true king wouldn't have all of their stupidity going on in their kingdom right?